[Milan], September 26, 2014 - Not an amazing start to Milan Fashion Week, and a surprising list of designers in my "love" section. Read Part II here. Pretty print combinations at Stella Jean. 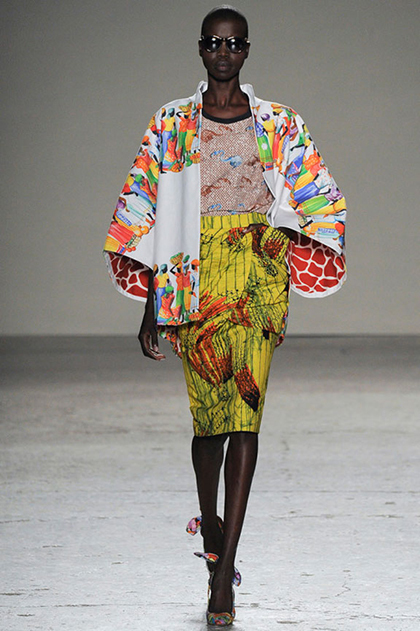 That Stella Jean's crazy print mixing look very chic. That Alberta Ferretti does boho evening gowns so well. These graphic straps at Fendi, but sadly this show wasn't as amazing as usual. Crisp white shirt and embroidered skirt. 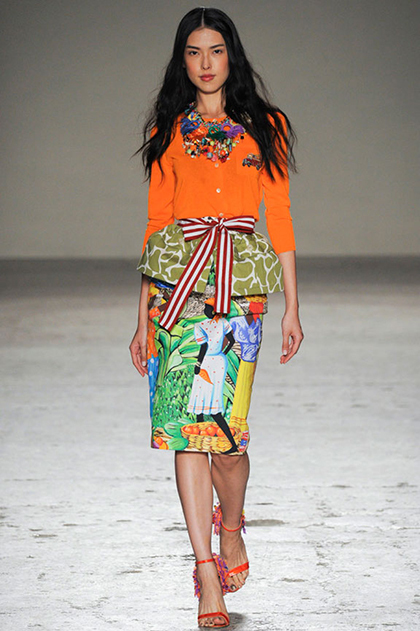 Looks good, Blumarine. Etro summer dresses.